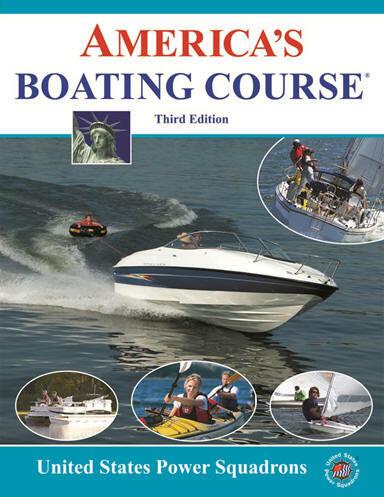 This is a great starting place to begin your boating education because the ABC class covers the basics that every boating must know. Our certified instructors will guide you through each topic in person, no need to watch boring videos or frustrating computer based programs. Learn rules of the road, types of boats, required safety equipment, navigation aids, lights and sounds, anchoring, communications, adverse conditions, water sports safety, trailering, personal water craft safety and knots and lines. Our next classes will be Saturday, June 6th. You just took a basic boating class and you discovered there a lot more to know about safe boating, Seamanship will expand on your essential boating knowledge. 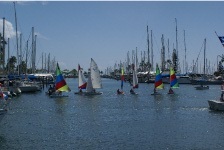 Learn more about boats, boat handling, boating in various conditions. During this class our instructors expand your skills in marlinspike. Along with the course manual you will get a study guide that contains the "Rules of the road" and start a foundation of the basic knowledge needed for taking the USCG license exam. This class is the beginning of our two part navigation series, you will start by leaning how read a chart, how to plot a course and basics of inland and costal navigation. Learn GPS waypoint navigation and how to use other electronic navigational equipment. Our instructors will also teach you how to verify that your electronic navigational equipment is working properly and how to navigate traditionally if your electronics fail. Learn how to check your position from landmarks and navigational aids. Use dead reckoning to navigate as a backup to your chartplotter. This is the second part of our navigation series, in this class you will learn more advanced techniques on coastal navigation. Lean to navigate in tides and currents. Learn advanced navigation techniques use GPS, radar, depth sounders chartplotters and digital charts. Use electronic and traditional navigation to obtain a precision "fix" on your position and how to avoid hazards using avoidance navigation. 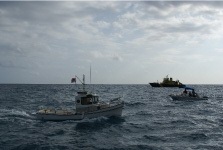 This class is the beginning of a two part offshore navigation series. Don't let the name fool you this subject matter is advanced and centered on safe and electronic navigation. After landmarks and navigation aids are no longer in sight we will teach you how to use the sun and a sextant to gain derived fixes of position. You will also learn to use the nautical almanac, how to make precision time determinations and other considerations to take in while offshore. Our next class will be announced later. This is the second part of our offshore navigation series and the most advanced navigational class taught by the United States Power Squadron. In this class you will learn how to take sights with a sextant on the moon, planets and stars to create a fix position. Learn multiple ways to reduce your sights. Along with the course manual this course also includes two voyage planning and navigation programs to plan and execute your offshore voyage.